Have you had your fill of Valentine’s day yet? I sure hope not, because today we’re whipping out another preschool pack. 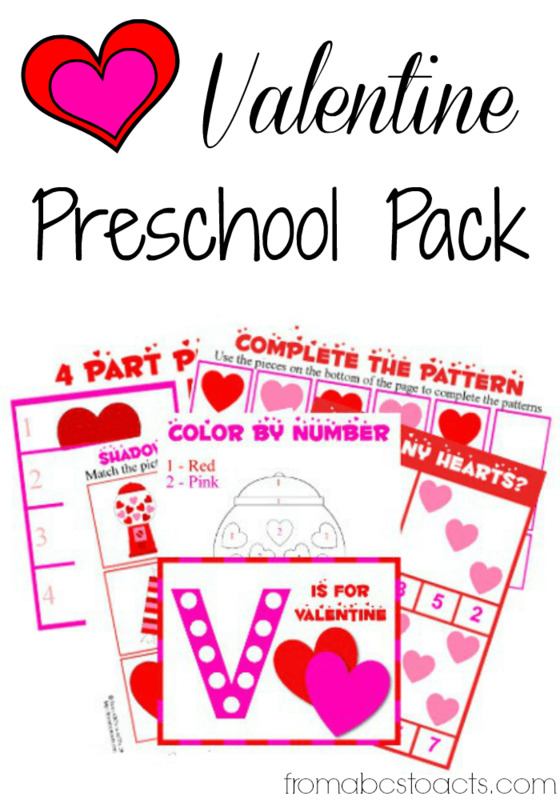 A Valentine preschool pack that is! Count the hearts, color by number, finish the patterns and put together some puzzles! There are hours of fun for you and your little one all in a single download! I figure as long as Nicholas enjoys them, I’ll keep making them and for the time being, he really seems to love them! Looking for more preschool Valentine ideas? Check out the paper heart chain and Minion Valentine box we made!